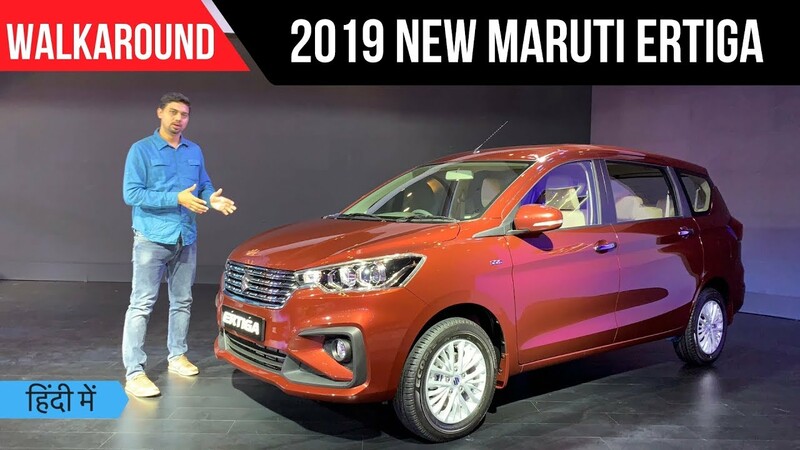 The second generation Maruti Suzuki Ertiga has finally gone on sale in India in a total of ten variants with prices ranging between Rs. 7.44 lakh for the entry-level LXi and it goes all the way up to Rs. 10.90 lakh for the range topping ZDi+ (ex-showroom, New Delhi). The largest carmaker in India has plonked the same 1.5-litre SHVS petrol engine, with 104.7 PS and 138 Nm output from the Ciaz facelift, onto the new-gen Ertiga. Combined with the new lightweight Heartect platform and the dual-battery setup, Maruti Suzuki has been able to claim higher fuel economy on the SHVS petrol engine as it stands at 19.34 kmpl and 18.69 kmpl for manual and AT respectively. Moreover, the regular 1.3-litre SHVS diesel unit producing 90 PS and 200 Nm has its efficiency improved to 25.47 kmpl. The more frugal engine lineup is complemented by a barrage of exterior updates including a new front grille and bumper section along with a completely overhauled rear end. The cabin does get layered two-tone dashboard, leather wrapped steering wheel and other upgrades to make the new Ertiga more premium than it had ever been. Our Hindi video overview will explain you of all the improvements made closely!